CARNIVAL and its related expenditure takes centre stage in Parliament on Wednesday. The Public Accounts Committee (PAC) will hold a public hearing with the National Carnival Commission (NCC) at Tower D, International Waterfront Centre, Port of Spain at 10 am. The PAC will examine the commission's expenditure for the years 2010 to 2018. 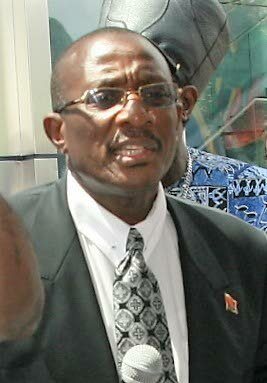 Former culture minister under the People's Partnership, Winston "Gypsy" Peters, now current NCC chairman, will be present and will have to account for some of the commission's expenditure during his tenure as minister. He will have to face his former Cabinet colleague, Caroni Central MP, Dr Bhoendradatt Tewarie, who is the PAC's chairman. Also on that day, the Local Authorities, Service Commissions and Statutory Authorities Committee will hold a public hearing at Tower D at 10.15 am. The Cybercrime Joint Select Committee, which is chaired by the Attorney General, will sit in camera from 10.30 am at Tower D on Tuesday. The House of Representatives sits on Friday at Tower D from 1.30 pm for Private Members Day. The House is scheduled to debate a motion filed by the Opposition Leader about the Prime Minister's recent presentation to the nation. Reply to "Parliament to examine Carnival spending"